Aaxiom Infotech Inc is an Offshore Website Development & Website Designing Company in USA/CANADA. Our Services Includes Website Development, Website Designing, Digital Marketing, Website Maintenance and many more. We delivered cost effective and high-quality Web solutions for a wide range of industries, We provide full cycle services in the USA. Aaxiom Infotech is a top digital marketing company in USA that offers one-stop solution for all your digital marketing needs- SEO, SMO, SEM, PPC, Email Marketing & more! 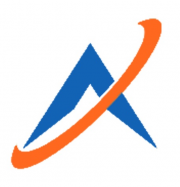 Jobs by Aaxiom Infotech Inc.